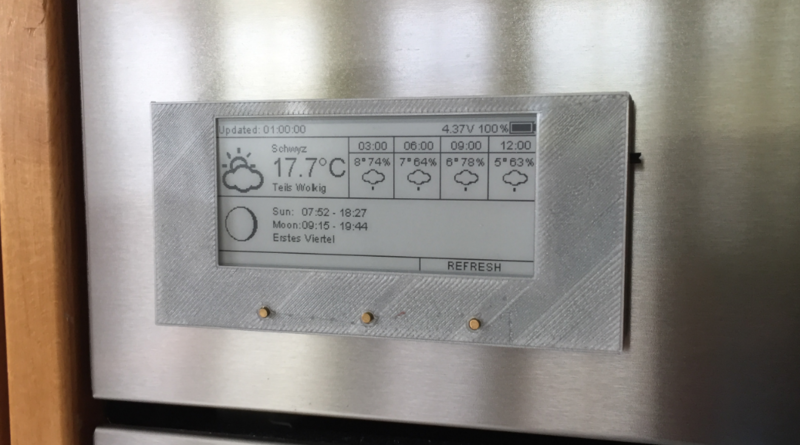 With an ESP8266, some e-paper, magnets, and a display, see how to build a low power weather station you can put on the fridge! 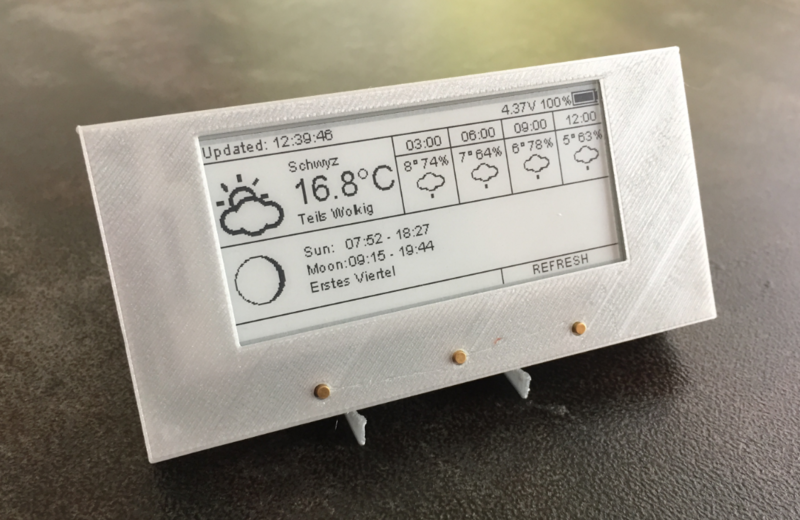 Using e-paper for a weather station is an ideal solution, as the data does not need to be updated often. By default, the station reaches out every 20 minutes for new data over Wi-Fi and then updates the display. 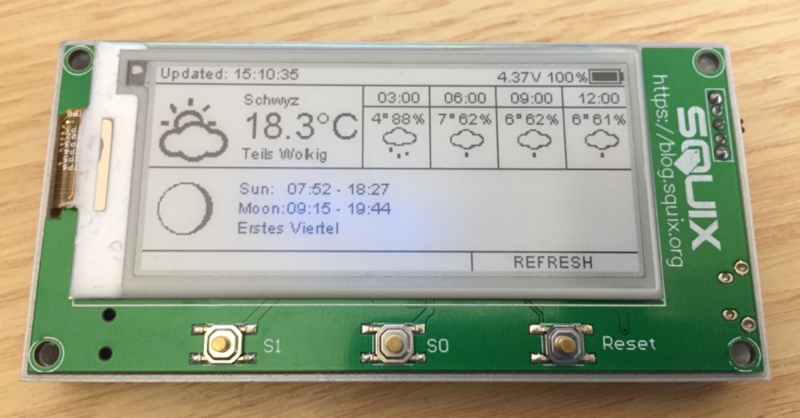 Daniel Eichhorn already has published kits for the OLED (see Wi-Fi OLED Mini Weather Station with ESP8266) and touch display (see Wi-Fi TFT Touch LCD Weather Station with ESP8266). 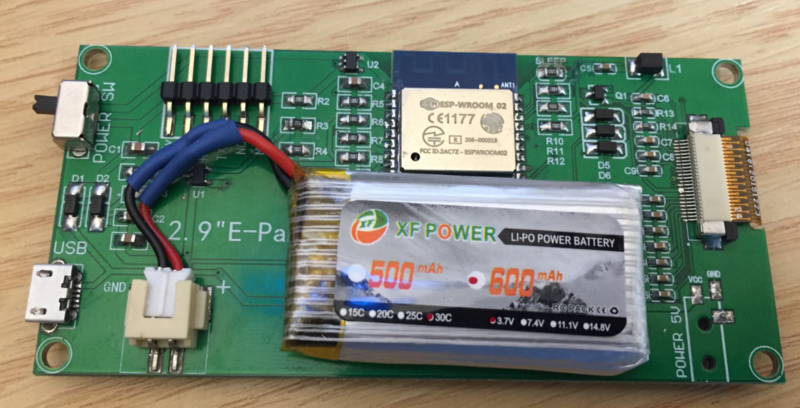 I like them both, but the TFT one is especially power-hungry and not really designed to work from batteries. What I would like is a station that can run for weeks. Because the ‘lite’ kit was supposed to be available earlier, I ordered that version. 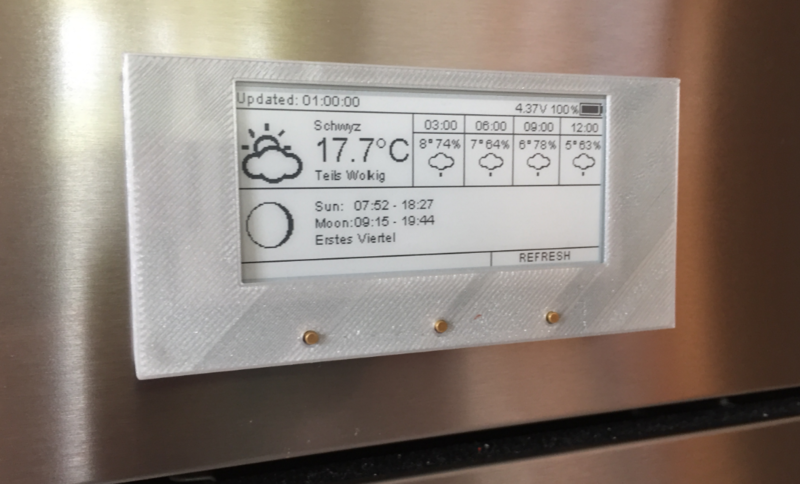 I wanted to build custom enclosure anyway. 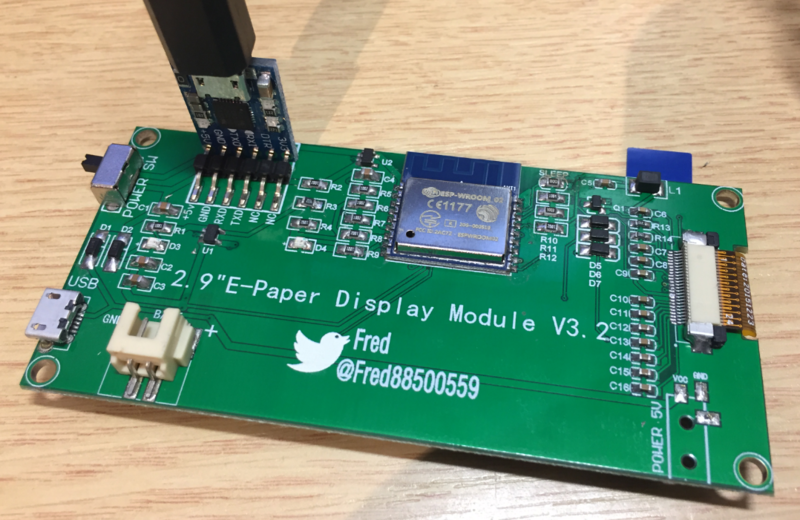 Daniel provides extensive and well-documented software for the module on GitHub. 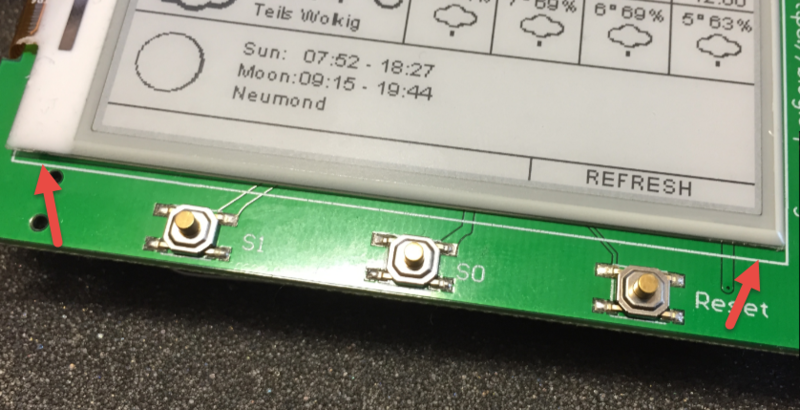 The setup guide is available at https://blog.squix.org/espaper-setup-guide. 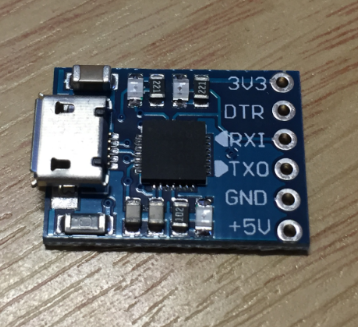 Because the ‘lite’ kit does not include a programmer (actually a USB to Serial Converter), I ordered a CP2102 module. 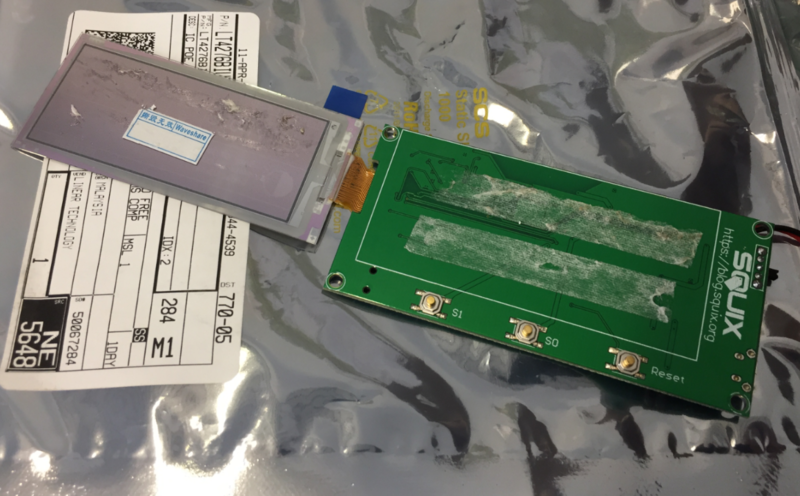 Warning: This can easily break the display, do this only on your own risk! 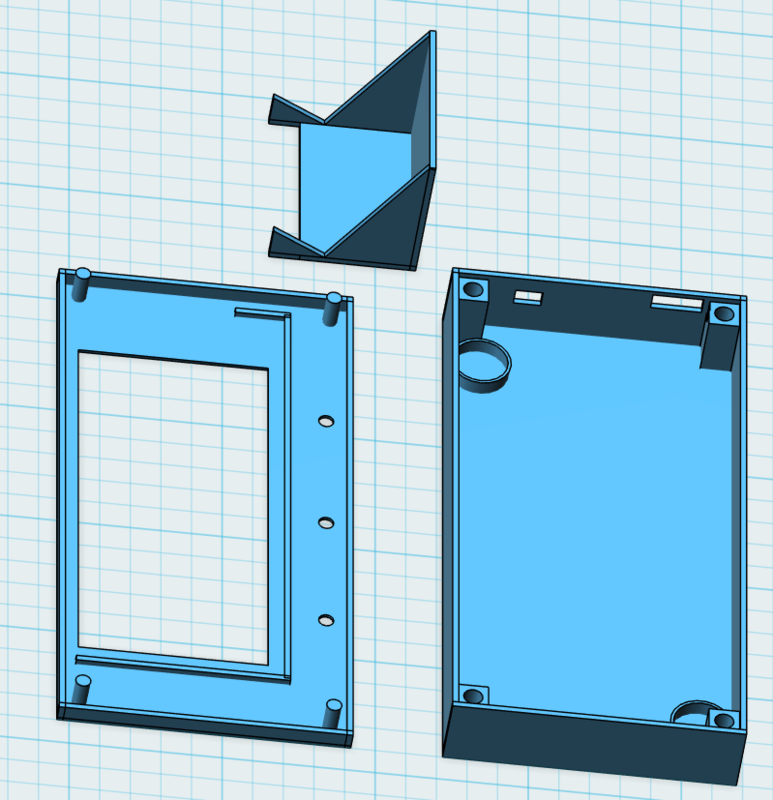 I considered creating an enclosure with acrylic and the laser cutter, but then I decided to do a 3D printed one for greater flexibility. The design includes a table stand as an option, a front, and a back part.